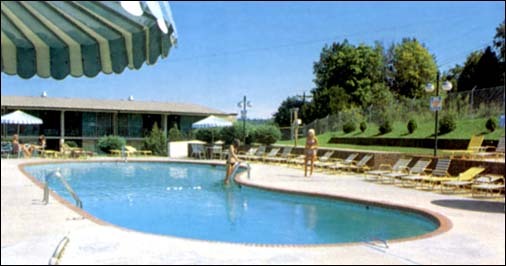 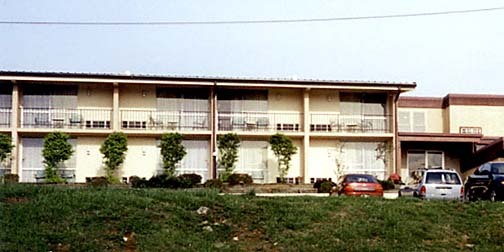 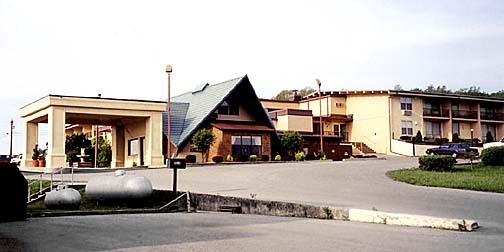 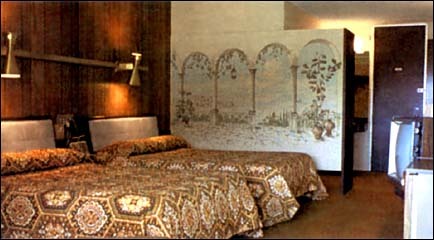 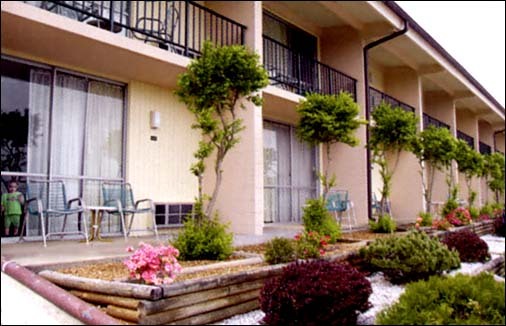 An exceptionally long lived Howard Johnson's Motor Lodge, the property was opened in 1969 and remained a Howard Johnson for more than a quarter of a century. 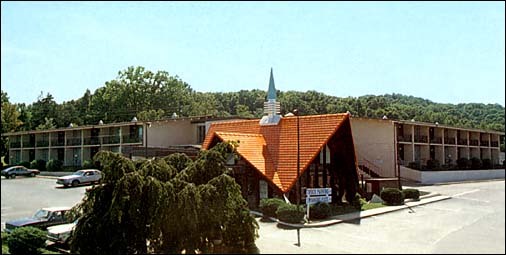 Located about halfway between Nashville and Knoxville, Cookeville made for a good stop. 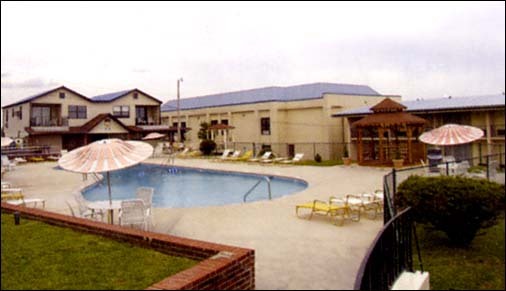 After giving up the HJ name the Motor Lodge became the Alpine Lodge & Suites, and the Hampton Inn-esque building as well as the "beach house" looking structure were added behind and beside the swimming pool.